- September 18, 1998. Point of departure is Esther's Inn (intersection of 10th Avenue and Highway 97 south). 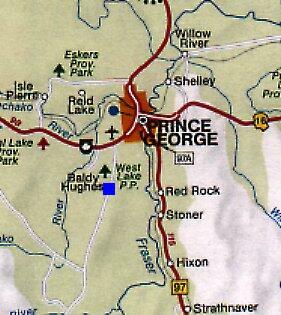 From Esther's Inn, take Highway 97 south (towards the airport and Quesnel) for 2.5 km which is the third set of lights. Make a right hand turn at Highway 16 West (heading towards Terrace). 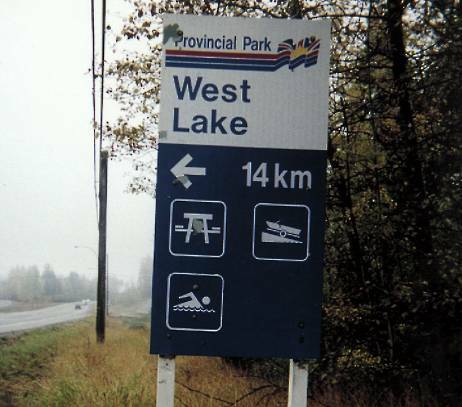 Drive 9.3 km from the intersection of Highway 97 and Highway 16, looking for a West Lake Provincial Park road sign and make a left hand turn at Blackwater Road. Drive a further 26.9 km (the road is paved) and you will arrive at a fork in the road. The right hand turn (with a gate across) takes you up the hill to the old Operations site. 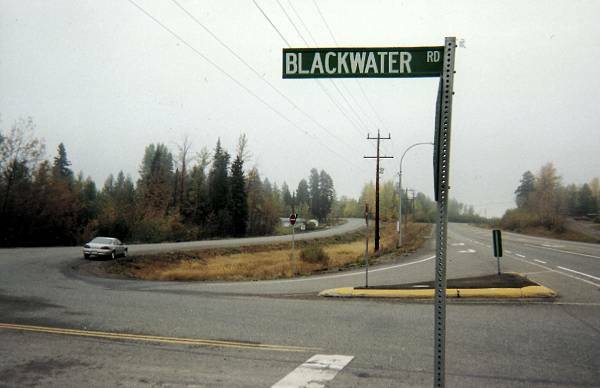 Continuing down Blackwater Road a further 0.7 km will take you to the domestic site. Map 1 is courtesy B.C. Ministry of Small Business and Tourism. Used with permission. 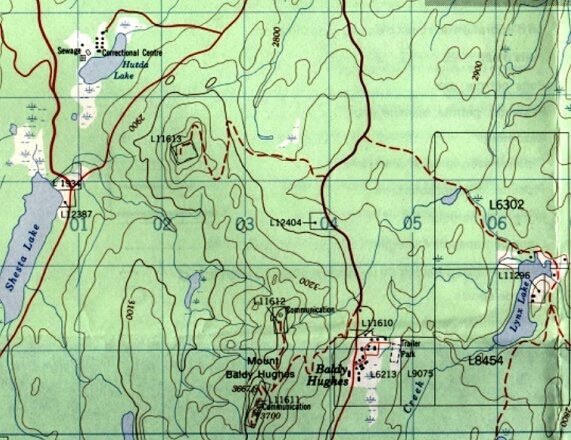 Map 2 is courtesy Energy, Mines and Resources Canada. Used with permission.